Whenever in Mysore I drive around the school campus - have done this a couple of times. Great feeling. I was a student at DMS from 8th to 10th standard. Joined in 1965 after an 'entrance exam'. Two and a half years of 'Central Syllabus' education; Half year of SSLC subjects; 8th A, 9th Science and SSLC section. Ou...r class was the second (or was it 3rd?) batch of the school. VM at our prayer and PT spots; Stern looking Hebbar in his track suit and taking care of those who stepped out of line (me - many times); Sampath Iyengar in his suit, transiting in his bicycle to teach us 'Technology'; A Nagaraj also in suit, flashy banana leaf sized ties and bristling mush - teaching us chemistry an...d helping us during the National science talent exam and the science exhibition; Vatsala Madam trying to make us understand why alternate angles are equal and that Rhombus is not an exotic automobile; Nirmala madam as the ‘drawing’ teacher; Pillai busy with counseling the students; Madhav Rao and Begum madam at the Library; Ever grinning Sabastian driving the new school bus; Jaidev manning the old bus, being even handed with all students except those who did not wear skirts !!! 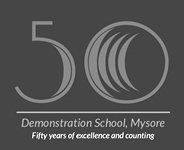 Great confluence of people in our class : Ravichandra, Vijayendra, Guru Datt, Balasubramanya, Rajashekar, Subbarama Setty, Dayananda, Kishore Chandra, Muttanna, Somaiya, Verghese George; and Radha Achar, Rekha Sapre, Geetha 1, Geetha 2, Pushpa Iyengar, Sucharita Punja – friends and classmates of a higher order (Jaidev... principle ?!). Apologies to those whose names I do not readily recall. Isn’t nostalgia a pleasant pastime?